It was the late 1970s, and Congress had just broken a decades-old “gridlock” on power generation by incumbent monopoly electric utilities. The awkwardly named Public Utilities Regulatory Policies Act of 1978 addressed rising prices due to the oil embargo as well as over-budget utility power plants by allowing third parties into the market. Renewable energy sources would get their first chance (along with combined-heat-and-power) to prove they were competitive with utility-provided electricity. To facilitate this newly competitive market, Congress required utilities to offer contracts to cost-effective, non-utility projects at the utility’s avoided cost (its incremental cost to provide more power). Fast forward forty years. 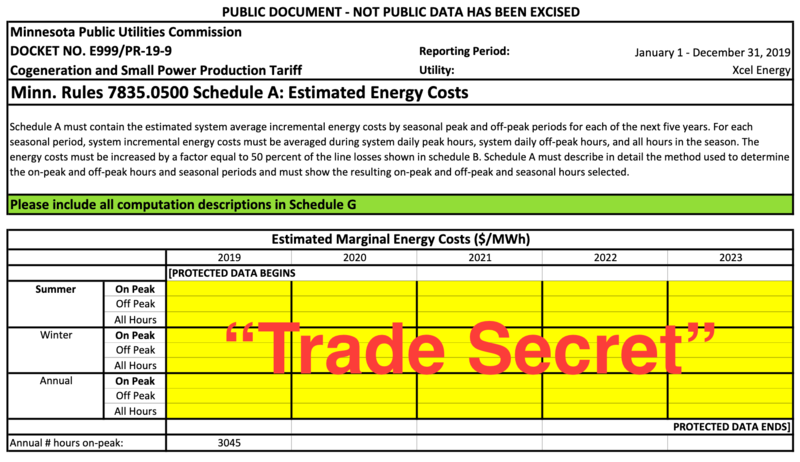 Utilities in many states have undercut competition by playing “hide the peanut.” Instead of sharing their avoided cost publicly, as required by Congress and state laws, utilities have hidden them behind a “trade secret” designation. This illegal shield––if left in place by state and federal regulators––requires prospective clean energy developers to lawyer up in order to extract a fair priced contract from the utility company. 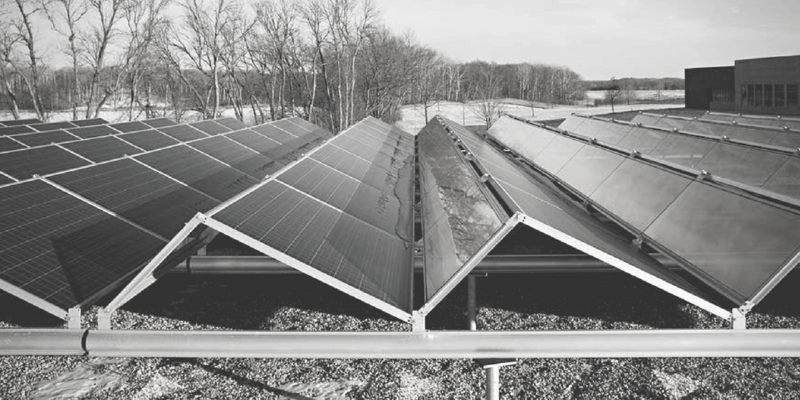 When state legislatures and regulators have made utilities comply with the law, contracts in California, North Carolina, and other states have led to thousands of megawatts of competitively-priced wind and solar energy. 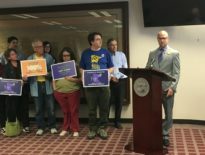 In a filing early last week, the Environmental Law and Policy Center and Institute for Local Self-Reliance exposed Minnesota utilities’ gamesmanship. The filing that could apply to markets in dozens of other states and it illustrates how federal and state laws require utilities to share their cost data publicly. (Check out the Twitter version of the filing from Jeff Hammons). See these and other comments submitted by our team and allies in our Public Utilities Commission docket submission annual archives: 2019 | 2018 | 2017 | 2016. First, Minnesota state law requires utilities to publish their cost data. The state’s compliance law (like many states, crafted to align state law with the 1978 federal law) requires avoided cost data to be available for “public inspection.” In other words, avoided cost can’t be a trade secret. Third, even if state law didn’t preempt it and utilities did provide adequate proof of harm, the federal requirement for disclosure preempts both actions. As noted in the filing, the Supreme Court has ruled that “state law is pre-empted to the extent that it actually conflicts with federal law.” In other words, even if a state allows utilities to hide avoided cost data, such an action is illegal because of its conflict with the preeminent federal statute. You can read the entire filing here (thanks to our friends @ELPCenter), but suffice to say that Minnesota utilities (and those in other states) are playing an illegal game of “hide the peanut” to squelch competitive, cost-effective clean energy. With high public support for renewable energy, the low cost of renewable energy, and many utilities’ reluctance to move quickly, more states should look to juice their renewable energy markets with competition, by requiring their monopoly utilities to comply with with federal law. This article originally posted at ilsr.org. For timely updates, follow John Farrell or Marie Donahue on Twitter, our energy work on Facebook, or sign up to get the Energy Democracy weekly update.